We are very proud to be a Gold Sponsor of the 7th Annual AFSIC event which is being held May 8-10th 2019 in London. This is probably the biggest investment event focused solely on Africa and more than 100 attendees from over 40 countries are expected to be many connections to build their business on the continent. 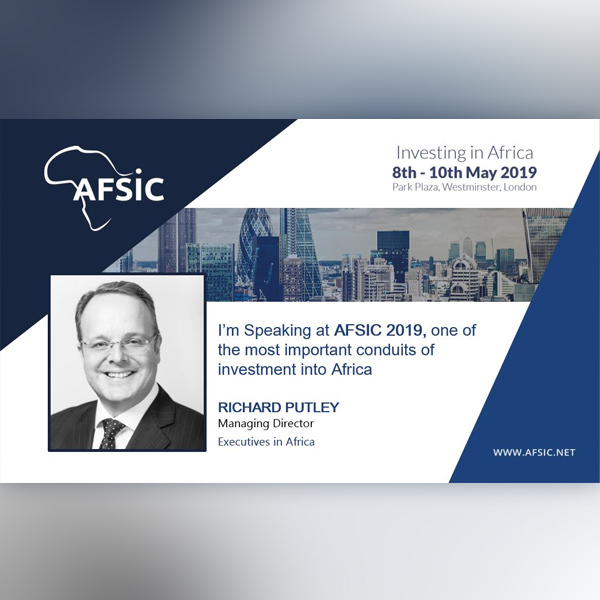 Our co-Managing Director Richard Putley will be speaking at the event on a topic that we know is pivotal to the success of business in Africa; ‘Leadership and why it is your Ultimate Investment’. Please visit our exhibition stand when you are there, and we can also set up meetings a month ahead of time on the event app.